You’ve been through the early days of grief and remember how lost and lonely they can be and how connecting to others through TAPS helped you. You remember when another reached out a hand to you to share the journey. Now, you may be ready to help someone else feeling alone after the death of their loved one. 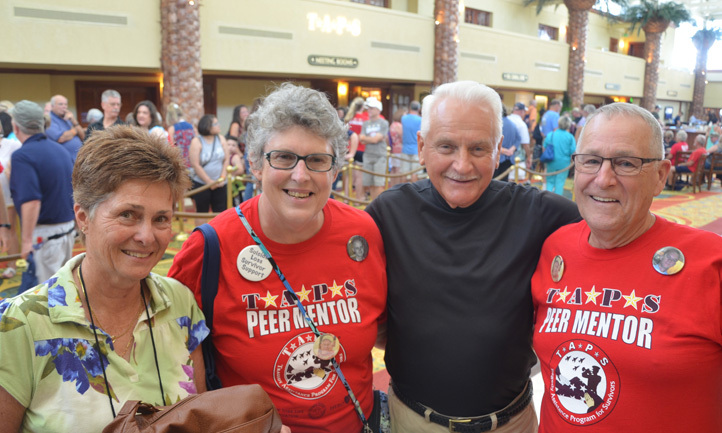 Becoming a peer mentor is the next step for many in TAPS. 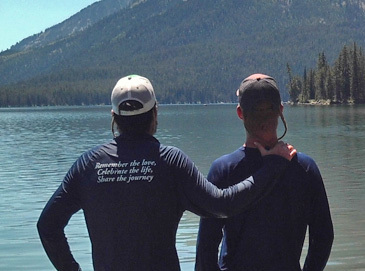 TAPS Peer Mentors are survivors ready to be a companion in another’s grief journey. Peer mentors often find that helping others is an effective way to continue their own healing. A TAPS Peer Mentor has the ability, time, and compassion to open his or her heart to a newly bereaved person. Feel comfortable mentoring and able to separate your own grief while comforting someone deep in their grief. TAPS Peer Mentor training can help you establish that boundary. If you meet these requirements, you can give another survivor the gift of hope, a safe place to share, and the validation of his or her feelings and experiences. The TAPS Peer Mentor Program staff review all applications, for more information, contact us at 800-959-TAPS (8277) or at peermentors@taps.org. TAPS offers two training options: an interactive, web-based training and an in-person classroom training offered at our seminars. Both trainings feature the same information and are about four hours. Once your training is complete and you feel ready to support others; we will welcome you to our TAPS Peer Mentor team. If you aren’t able to attend one of the scheduled web-based trainings, email peermentors@taps.org and we can work with you to find a time that will fit your schedule. If you prefer learning in a more traditional setting, TAPS offers in-person classroom trainings. You can complete the four-hour classroom training at any TAPS Regional Seminars or our TAPS National Seminars. TAPS Peer Mentors are the foundation of our mission. We are grateful you are willing to be part of that mission to help others. Your personal experiences as a peer mentor truly help us shape and share this amazing program. For questions, contact us at 800-959-TAPS (8277) or at peermentors@taps.org. Build relationships with fellow survivors, get logistic updates and reminders during a seminar with the TAPS Events and Programs mobile app. Please Note: If you do not see a Web Based Training date listed that fits your schedule, please send an email to peermentors@taps.org with your request. We are here to best serve our survivor volunteers.